When it comes to cleaning our homes, many of us are turning our attention to steam cleaners and steam mops. Using steam to clean is not only considered to be environmentally friendlier due to not requiring chemicals, but steam cleaners are also said to remove 99.9% of dirt and bacteria – providing a deeper clean. If the tank cap cannot be opened on your steam cleaner, the likely cause is the boiler still being under pressure. Rectifying such a fault isn’t difficult. Instead, you can release the pressure on the boiler by switching off the heater, before turning the steam feed onto maximum and pulling the trigger on the cleaner’s handle. This should be carried out until the cap can be opened. 1) The water tank being overfilled. 2) The controller not being set to steam mode. 3) The steam cleaner not reaching its required temperature. Each of the probable causes are easy to rectify, firstly make sure the water tank isn’t more than three quarters full; secondly ensure the controller is set to steam mode. Finally, make sure you are leaving your cleaner long enough to reach its optimum temperature. Whilst the appliance producing more water than steam is likely to be caused by one of the three issues listed above, another issue which you may face is your steam cleaner failing to provide any steam at all. 1) The heater not being switched on. 2) The steam feed not being switched on. 3) A build up of limescale. For the first two probable causes, switching on the heater and steam feed should enable steam to be produced. For a build up of limescale, a regular and thorough clean can help to prevent this from happening. Limescale within the appliance can not only result in no steam being produced due to blockages, but it can also extend the length of time it takes for the steam cleaner to reach its required temperature. To prevent limescale from building up in your appliance, we recommend incorporating the Wellco Professional Steam Cleaner Descaler into your cleaning process. The descaler helps keep your steam cleaner in mint condition by tackling the build up of limescale deposits, ensuring your appliance is able to run efficiently and effectively for longer. 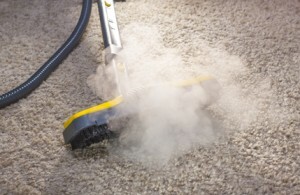 Your steam cleaner should be producing steam from the nozzle. If steam is coming from the side of the body then there may be a blockage. To rectify the fault, switch off and unplug the steam cleaner from the wall, before removing the floorhead on the neck of the machine, which is where the blockage is most likely to have occurred. If a blockage is located, we recommend using a small thin object to clear the blockage, before running water through the area to ensure the blockage is completely removed. 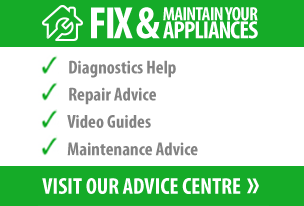 Once you’re satisfied the blockage has been removed, reassemble the appliance and use as normal. Carrying out these simple repairs on your steam cleaner will help to keep the appliance working to its full potential; enabling you to provide your home with a deeper and more hygienic clean.